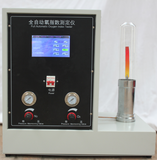 Surface and interfacial tensiometer is a kind of instrument to measure the interfacial tension of liquid surface or liquid and liquid by physical method. It is widely used in the production, scientific research and teaching of electric power, petroleum, chemical industry and other departments. This series of products meet the requirements of JB/T9388-1997 "Technical Specifications of Interfacial Tension Instrument" ISO1409 "Determination of Surface Tension of Plastics, Rubber, Polymer Dispersions and Latex" and SH/T1156 "Determination of Surface Tension of Synthetic Latex". 6. Determination temperature: - 20 C - + 0. 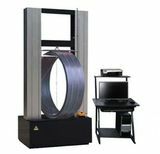 Fully automatic interfacial tensiometer, in accordance with JB / T9388, ISO1409 standards, is a physical method of testing the surface tension of liquid, interfacial tension instrument. 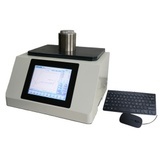 The instrument can quickly and accurately measure the surface and interfacial tension values of various liquids and display the results automatically. In the hydropower sector, it is used to test the interfacial tension value of electric oil, so as to strengthen the supervision of insulation oil quality. Surface tension values of various liquids can be tested in petroleum, chemical, scientific research and other departments to strengthen the analysis of various liquids, which can be used in teaching for educational departments. 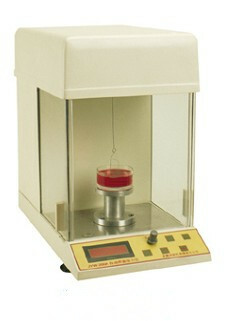 1, LCD tension value, high accuracy, stable performance, fast test speed. 2, automatic zero adjustment, easy to operate. 3, with peak hold function. 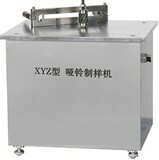 4, the test tray can be automatically lifted. 5. Use the ring method to carry out the tension test.